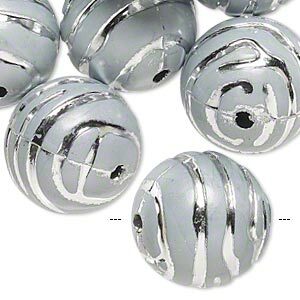 Bead, acrylic, grey and silver, 18mm round with line design, 2.5mm hole. Sold per pkg of 24. 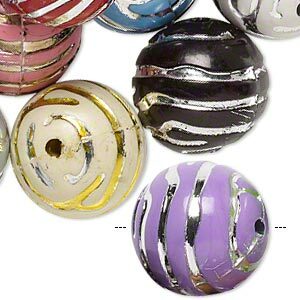 Lightweight acrylic beads are molded for consistent size and shape. 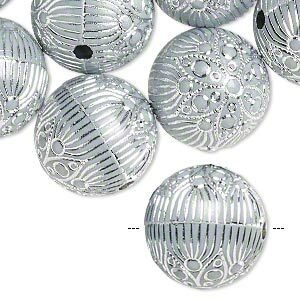 Each bead features a light-catching silver-colored design. 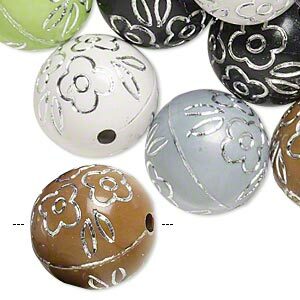 Bead, acrylic, grey and silver, 18mm round with flower and line design, 2.5mm hole. Sold per pkg of 24. 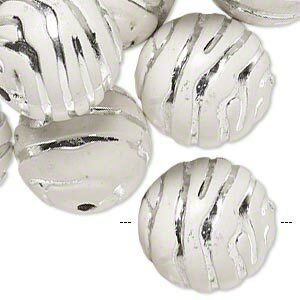 Bead, acrylic, white and silver, 18mm round with line design, 2.5mm hole. Sold per pkg of 24. 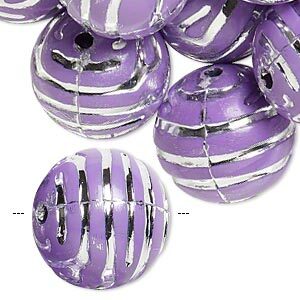 Bead, acrylic, purple and silver, 18mm round with line design, 2.5mm hole. Sold per pkg of 24. 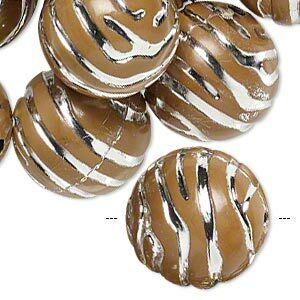 Bead, acrylic, brown and silver, 18mm round with line design, 2.5mm hole. Sold per pkg of 24. 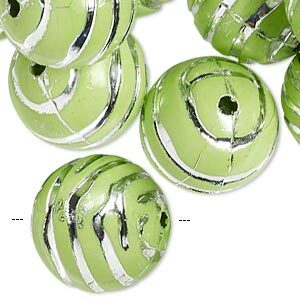 Bead, acrylic, green and silver, 18mm round with line design, 2.5mm hole. Sold per pkg of 24. 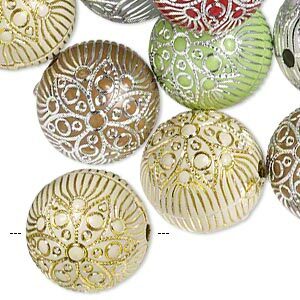 Bead mix, acrylic, mixed colors, 18mm round with flower and line design, 2.5mm hole. Sold per pkg of 24. Bead mix, acrylic, mixed colors, 18mm round with line design, 2.5mm hole. Sold per pkg of 24. Bead mix, acrylic, mixed colors, 18mm round with flower design, 2.5mm hole. Sold per pkg of 24. 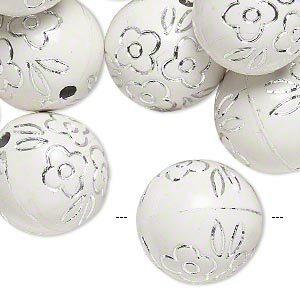 Bead, acrylic, white and silver, 18mm round with flower design, 2.5mm hole. Sold per pkg of 24. 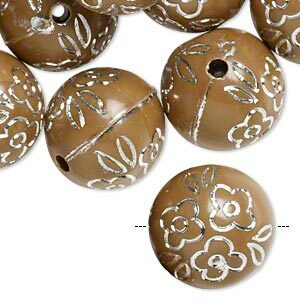 Bead, acrylic, brown and silver, 18mm round with flower design, 2.5mm hole. Sold per pkg of 24.